My love affair with the Hanshin Tigers continues this year as I headed to another game at Meiji Jingu. I have been telling myself that I have to go to Tokyo Dome to watch the Tigers attempt to defeat their archrivals, the Giants, but I can’t help but enjoy going to Meiji Jingu for games because I just love the stadium. I have said it before and I’ll say it again, I love going to Meiji Jingu Stadium. It isn’t a big stadium and you can really feel like you are up close to the action. The seats are not stadium seating so it can feel a little cramp and you it can be a little difficult to see over the person in front of you, especially if they are very tall; thankfully most of the time you can still see enough. I went to the game on August 6th, and since it was a Wednesday, I headed to the stadium a little after they opened the doors. I got there just after 4:30 and thankfully there were still a few good seats left in the centre field area where I love to sit. I got prime seats and got to work drinking. I learned pretty quickly that you should always bring a first beer. You can save a lot of money if you bring one beer with you and I was happy that I could also bring a nice IPA. There is nothing like a strong cold beer on a hot day to take away your inhibitions. Getting to the game a little earlier than normal allowed me to experience something a little different; I was able to see the Tigers doing their batting practice. 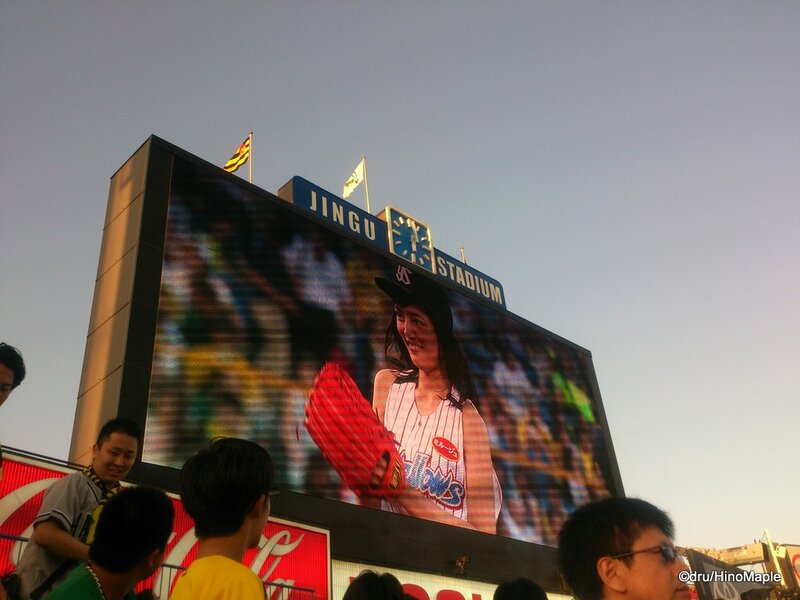 It was different than normal as there were a lot of Jingu Stadium staff standing around the outfield with red flags. They were their just watching the batting practice but once a ball started getting closer to the stands, the staff would sound the alarm, literally. You would hear a ringing and the flags would go up as they pointed to the ball. It was a little hard to see the balls flying our way but you knew they were coming. The only problem was that after a while, you just get used to the alarms and learn to drown them out and ignore them. A few people were lucky enough to get a ball though, but not me. By the start of the game I was already onto my third beer. It wasn’t a problem as I was having fun and the cheering really helped to get me going. The game itself started off slow but turned bad quickly in the 2nd and 3rd innings. 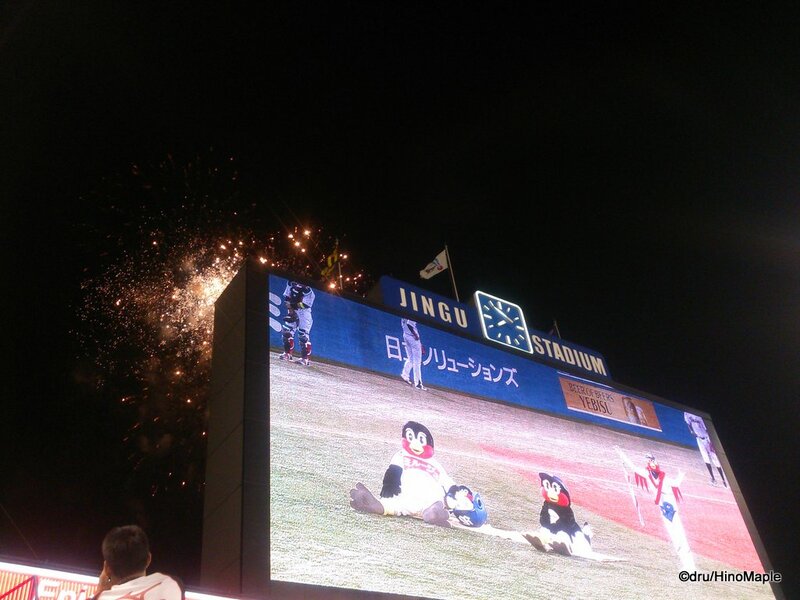 The Tigers were not doing so well at bat and the Swallows were able to score 3 runs by the end of the 3rd. The Tigers then went on a small rally of their own to tie it up by the end of the 5th before a big letdown in the 6th. The Tigers allowed 4 runs in one inning. From here, things were pretty quiet. The usual antics were happening. 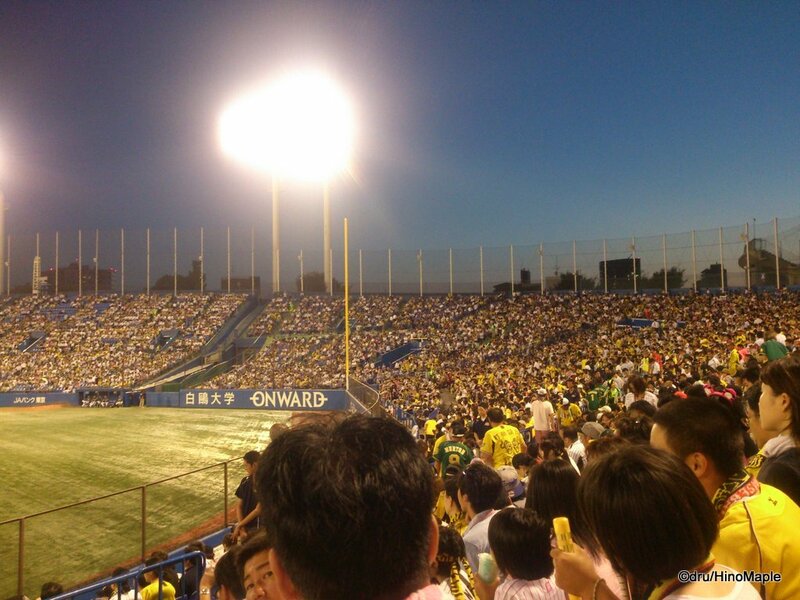 The Tigers fans were shouting loudly and overpowering the Swallows fans, at least from my perspective. When I went to the game during Golden Week, the Swallows fans were pretty vocal but this time they seemed a little quieter compared to the Tigers. Then again, being in the thick of things on the Tigers side meant the Tigers fans would always be loud. By the top of the 9th, the Tigers were still down by 4 runs but started to make a rally. They were able to score 3 runs and needed just one more run to tie it up. They had a runner on 3rd, 2 outs and one of their long time heavy hitters, Matt Murton at bat. It was a very promising position and they had a chance to take the lead. Instead of taking the lead, Murton struck out leading to a lot of disappointed fans. It was an exciting rally that lead to disappointment for many but the show was really good. I’ll always be a Tigers fan in Japan and I’ll always be going to games. It can be difficult to find the time to go to the games but I will definitely be back. Cheering for the Tigers is a ritual that I will continue to do and continue to enjoy. This entry was posted in Baseball and tagged baseball, Hanshin, Hanshin Tigers, japan, Japanese Baseball, Jingu Stadium, Meiji Jingu, Meiji Jingu Stadium, Swallows, Tigers, tokyo, Yakult, Yakult Swallows by Dru. Bookmark the permalink. Good write up. I’ve never been to an away game before but I want to hit up every stadium at some point. How many have you checked out? 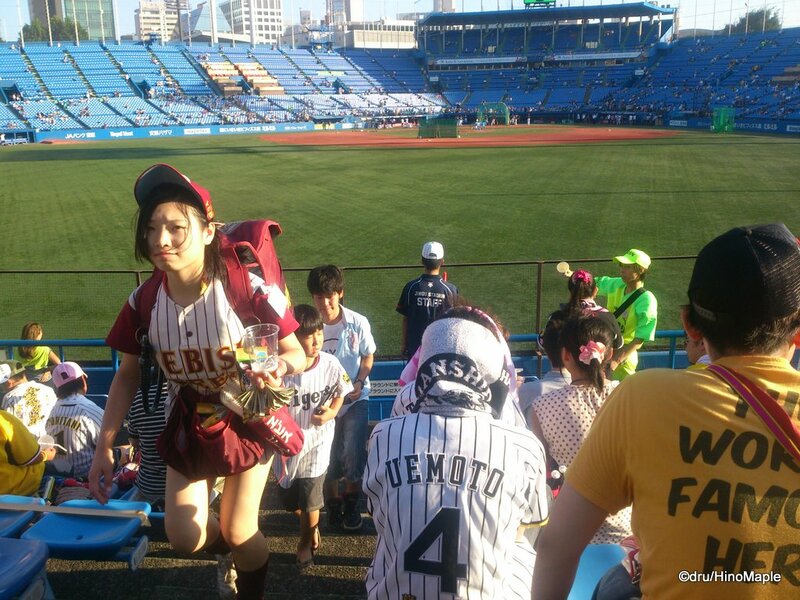 So I take it you have been to the Tiger’s at Koshien? I’ve been wanting to go there for years now. Just never had the time. Always been down there at the wrong time. 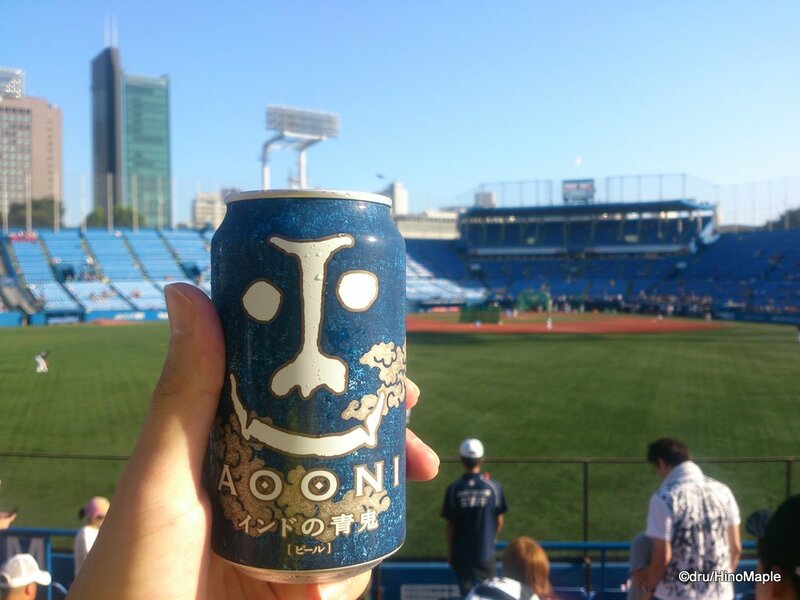 The first game I ever went to was at Marine Stadium, Chiba. The Saviour’s brother loves the Lotte Marines. That stadium is nice but it was so long ago that I can’t remember it too well. 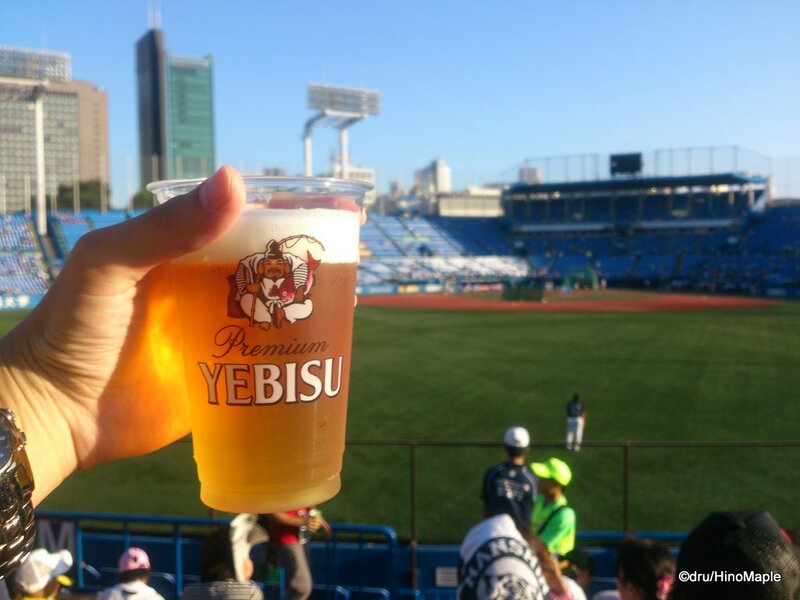 Ya, I’ve only ever been to Koshien… for baseball, that is. 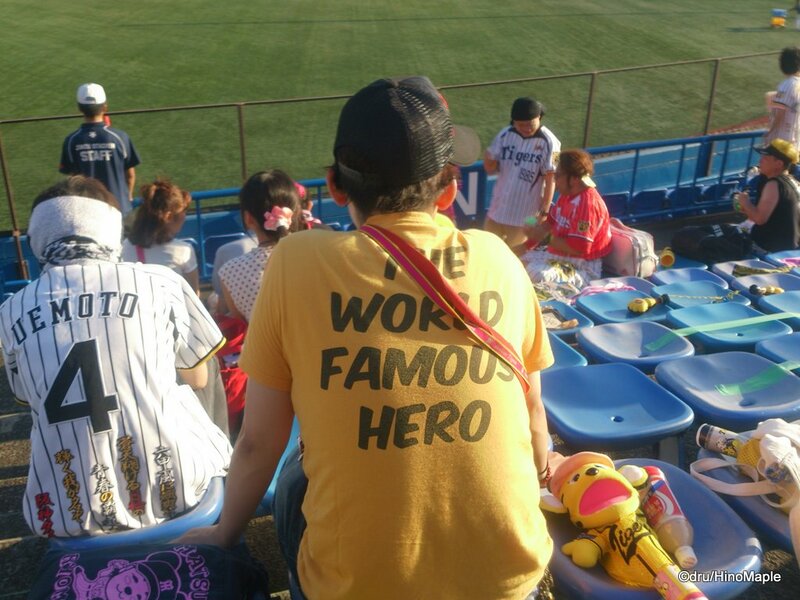 I used to live in Sapporo but never made it to a game, one of my regrets for sure. 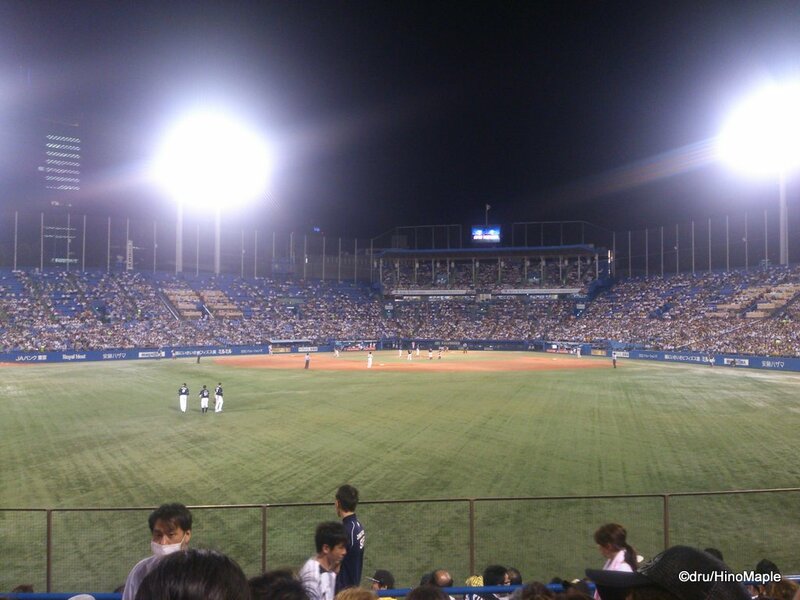 Since I live in Kansai, the only stadium really easy to access, other than Koshien, is Kyocera. Probably next season!